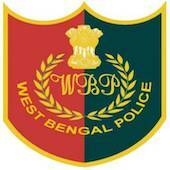 Online Application Details for West Bengal Police Recruitment of 5 Sub-Inspector and 7 Assistant Sub-Inspector is given below. Application form and duly attested documents are to be sent to The Chairman, West Bengal Police Recruitment Board, Araksha Bhavan (5th Floor), Block-DJ, Sector-II, Salt Lake City, Kolkata-700 091. In envelope super scribed with 'Application for the Post of Post Name'.